A desire to be a part of God’s work around the world has characterized Fellowship Bible Church since its inception in 1980. Early on the leadership of FBC understood the call and the challenge of participating in global missions and supported missionaries whom God directed their way. Back in the 1980s, those missionaries included a mix of American missionaries as well as three national missionaries: James & Lali Shanker in northern India, Joy and Lela George in southern India, and Julius and Rachel Murgor in western Kenya. Early in 1990 and 1991, it was becoming evident that God was beginning to stir the heart of the FBC elders and the FBC missions committee to more clearly define the purpose and strategy of global missions at Fellowship Bible Church. In early 1991 a member of the missions committee made a trip down to Rio Grande Bible Institute in Edinburg, TX and met a young instructor there named Wilson Campoverde. Wison explained the great need for training leaders throughout Latin America and the great need to help churches in Latin America grow in the grace and knowledge of the Lord Jesus Christ. That encounter with Wilson Campoverde proved critical as God opened a door for FBC to begin partnering with Wilson who introduced FBC to some churches in Mexico and South Texas. A relationship was formed, and for the first time, the FBC missions program begin to develop beyond a simple map and a budget. Face-to-face relationships with God’s people from a different culture were forming. Heart-to-heart ministry of establishing the church was now beginning. In the spring of 1992, the FBC elders convened a special weekend retreat to decide on a more clearly defined missions strategy – one that had begun forming because of growing relationships with national leaders. The elders concluded that for Fellowship Bible Church, the global missions strategy would predominantly consist of partnering with key national leaders and churches, being open to following the Lord’s lead wherever He opened a door of opportunity. That was a watershed moment in the life of FBC global missions, as was the meeting with Julius Murgor in the spring of 1993. Julius was making a visit to the United States and while meeting with the missions committee he shared the crying need of leadership training in the African church. The church among the Pokot tribe in western Kenya was experiencing dramatic growth, but as Julius described it, the church in Kenya was “a mile wide and an inch deep” regarding spirituality. Julius relayed the desperate need for trained leaders and asked FBC to become involved in helping to meet this need directly. He specifically requested help in building a training center where Pokot pastors and evangelists could come and receive training several times each year. It was clear God was calling FBC to a higher level of commitment in their global missions ministry, and by His grace, $7000 was raised to build the new training center. But just raising money for a project was merely the beginning. Trips were planned to go and conduct training sessions for these Pokot leaders personally. Partnering with national leaders entered a whole new level of involvement. God was allowing FBC the incredible privilege of building enduring relationships with key national leaders and assisting them to think more biblically so that the “deposit of truth” could be passed to their churches and they could be built up and established in their faith. That same year a trip to Mexico solidified FBC’s partnership with churches in Mexico City and nearby Pachuca. God continued to connect Fellowship Bible Church with new opportunities around the world. Existing relationships in India, Kenya, and Mexico deepened significantly. One such relationship involved James Shankar of northern India, a national pastor who FBC had been financially supporting for a number of years, but had never personally contacted or connected with. The conviction of this new mission’s strategy compelled the mission leadership of FBC to begin personally pursuing James, and to their dismay discovered that due to a certain American mission organization’s bureaucratic policies, James was being kept in the dark concerning Fellowship’s financial support. Even personal letters were not getting to him. Once again the need for face-to-face ministry was driven home. Eventually, God graciously and sovereignly allowed FBC to connect with James miraculously and soon the Shankars and FBC were enjoying a wonderful partnership in the work of the gospel. In the ensuing two decades of global missions ministry, Fellowship Bible Church has seen God connect us with indigenous works in various parts of the world. And as some doors have opened, other doors have closed. Hundreds of translation projects and multitudes of training trips have stretched a missions budget that God has always made sufficient. But through it all, FBC has been enriched by the many contacts and loving relationships God has allowed us to partner with for the cause of Christ. FBC mission conferences have been some of the greatest joys as a church family because dear friends from around the globe join with the FBC church family to celebrate God’s amazing grace. Summer youth trips are filled with excitement because of the opportunity to serve and be served by friends and partners in global ministry. Young and old alike at FBC can claim people from Africa, Latin America, India, China, Thailand as dear and lasting friends.  Probably the best description of the missions program at Fellowship Bible Church is found in Acts 14:21-22,15:36, 18:22-23, and 1 Thessalonians 3:1-2. Like Paul, Barnabas, Timothy, and Silas, the Lord has been sending Fellowship Bible Church out to teach and disciple, to encourage and comfort, to strengthen and establish His churches and His ambassadors around the world. And by God’s grace, FBC will continue in this exciting work that He has been directing these many years. Preparing and deploying dependent disciples of Jesus Christ who change their world for Him as they are being changed by Him.